After Le Coq sportif, another classic brand is back on the tennis courts. ellesse announced earlier today they signed up and coming player Elina Svitolina and former world number 2 Tommy Haas as brand ambassadors. The ellesse name is based on the initials LS of its founder, Leonardo Servadio, an Italian tailor with an innovative approach to styling and manufacture. In 1959, Servadio created a revolutionary stretch ski pant which established ellesse among the elite alpine social circles, making it the ultimate aspirational brand. The famous half-ball ellesse logo combines the trips of a pair of skis with a cross section of a tennis ball, to symbolize the brand’s heritage in these sports. 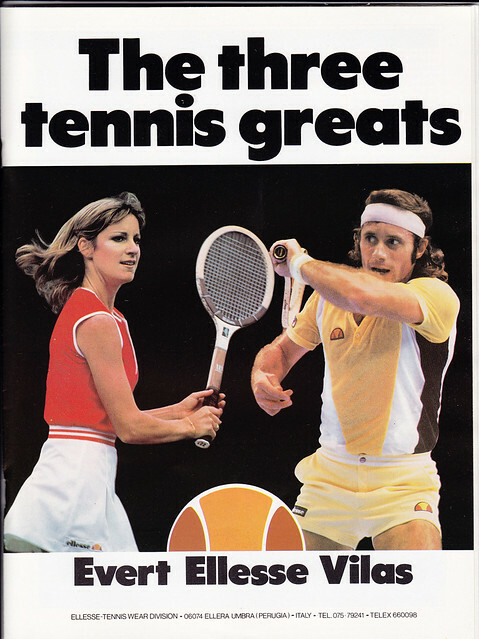 Tennis greats Chris Evert, Guillermo Vilas and Boris Becker rocked ellesse on and off the tennis court in the 80′s.